On October 21, a united spiritual empowerment service for ten local churches was held at the second district of Taichung Presbytery. 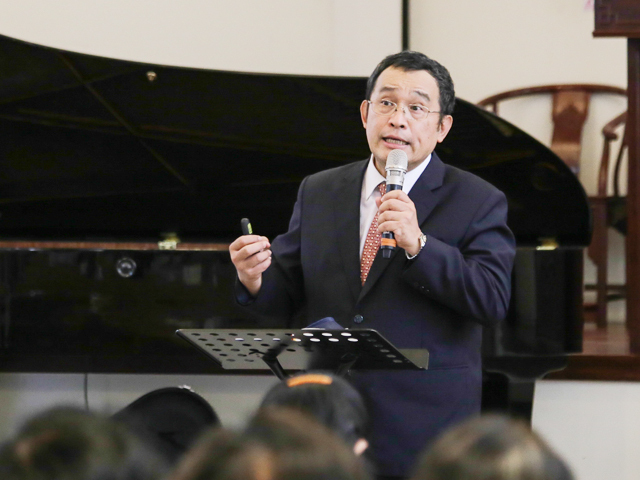 Rev Dr Lin Hong-hsin, a famous systematic theology professor of Taiwan Theological Seminary and College was invited to deliver his thoughts about PCT’s evangelical passion. Rev Lin urged PCT members no more stayed in a conceited mind-set boasting about past glories. Instead, Rev Lin pointed out straightly, new churches have to be established as soon as possible among fast-growing urban districts, like Nan-Tung, Sie-Tung, Ta-lie. In the meantime, except the multi-religious and cross-cultural context of Taiwan society should be ever borne in mind, our brothers and sisters in needs at social bottom should never be forgotten, Rev Lin stressed. Rev Lin reminded the audience about PCT’s more and more evident inclination toward a life style of the middle class among work and worship. He was quite worried that PCT’s evangelical passion and concern would no more focus on the marginalized which were the social status most of their faithful fathers saved by the gospel and the missionaries. 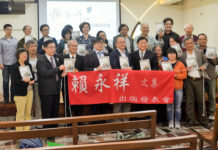 In contrast, Rev Lin remarked, more and more overseas Christian missions going into Taipei streets to help the homeless, learning Taiwanese languages to preach in local market place and placing pamphlets with coarse quality paper and big-lettered print beside local temples to care about our brothers and sisters in social bottom. How to share available space and resources of PCT’s urban church to accommodate urban aboriginal Christians’ worship and service demands, Rev Lin said, is also an important issue. By generously sharing church’s space and resources, he encouraged PCT’s urban church to help allemioate financial burdens of those aboriginal brothers and sisters in worship and liturgy. 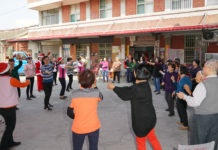 Regarding the rapidly increasing new immigrants and migrant workers in Taiwan, Rev Lin pointed out these were signs and opportunities to develop new linguistic fellowships and services to serve our migrant brothers and sisters. Taking the example of Thailand migrant workers, summing up in total about 100,000 people in Taiwan, yet Christians in Thailand are less than 700,000(i.e. 1% less of her total population as 70,000,000), Rev Lin urged PCT local churches to treat them well and bring the good news to these Thailand migrant workers. 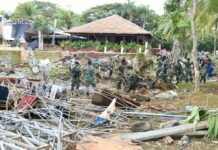 Maybe some days the seeds of the gospel would be brought back to their home land via these Thailand migrant workers , Rev Lin said.